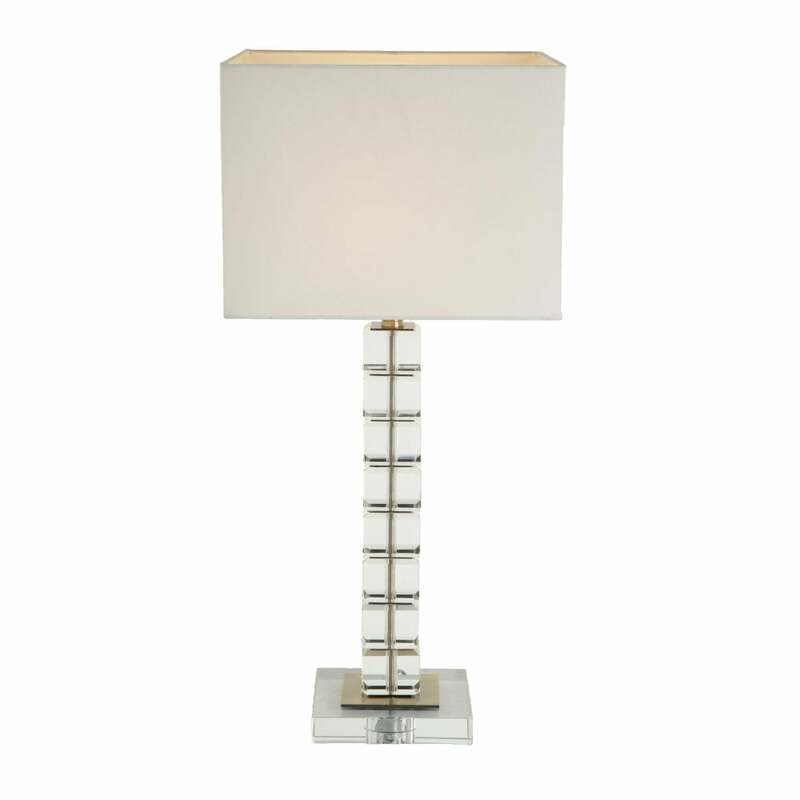 Add timeless sophistication to your interior with the Morna table lamp from RV Astley. Bevelled crystal cubes on the base stack together with soft, curved edges forming an eye-catching masterpiece. The sculpted detailing of the reflective crystal base is a sophisticated illumination option. Style either side of the bed on neutral cabinets for maximum luxurious impact. The crystal detailing would also lend itself as a feature lamp on a console or side table within a living room or hallway interior.